Presented in partnership with Maribyrnong City Council, WOW CAFÉ is a lush and inviting pop-up venue on the lawns of FCAC. WOW Café offers a free-to-the-public curated program featuring festival highlights such as conversations, short talks and performances. Join us for a daily taste of WOW – Women of the World Festival Melbourne, in association with Happy River Café. All events are free and held at the WOW Café. Drinks and food available. Esther Tuddenham, Sarah Ellis and Hannah Bradsworth will step you through a diva pop playlist to die for. Join them for inspired moves to get you moving for the day ahead. Snippets of talk, music and poetry from selected WOW artists and speakers. Curated by Co-Director of Nuholani Polynesian Dance and producer of Vaiusu Creators Space Fipe Preuss. Part dance, part talk, part connection, and a permission to disconnect from the outside and tune into our bodies’ ability to tell stories beyond our own words. Do you know how to back a trailer or ask for a payrise? These short ‘How to’ sessions will make life just that little bit easier as told by people who have done the hard work for you. In this WOW Melbourne edition of the Game Changers Conversation Series, we take a gender lens to exploring the social and economic impacts of gentrification, the housing crisis and development while visioning how growth and community can co-exist in the ‘new west’. A showcase of creative work by artist Elaine Crombie, developed during our Mum is the Medicine residency. Women’s sport is finally starting to get the attention it deserves, but recent achievements don’t mean the race is run. Hear from a range of motivating speakers including Susan Alberti AC, Carol Fox, Dr Clare Hanlon and Lewis Martin. Join feminist filmmaker and activist Saba Vasefi in conversation with WOW Shorts curator Louise Malcolm (Festival Director of tilde: Melbourne Trans and Gender Diverse Film Festival) as they discuss Vasefi’s short film Beyond My Father’s Shadow, the story of Edith Cowan, Australia’s first female parliamentarian. The culmination of the Women Art and Politics residency program for South Asian, Southeast Asian and Australian visual and performing artists. We asked ‘What does it mean to be a woman in art and politics in our current times?’ Expect spoken word poetry, performance and an insight into cross-cultural collaboration. The Lifted Brow’s popular Mixtape Memoirs series asks contributors to talk to their favourite song or album and how it changed their life. A series of verbal postcards from the year 2030 by young people and organisations close to the FCAC community on how they imagine our collective futures. WOW Café is presented by Maribyrnong City Council as part of WOW – Women of the World Festival Melbourne. A Marathon, Not a Sprint is presented by Victoria University. (Dis) Placed: A woman’s experience of gentrification is co-produced in partnership with Victoria University and Maribyrnong City Council. 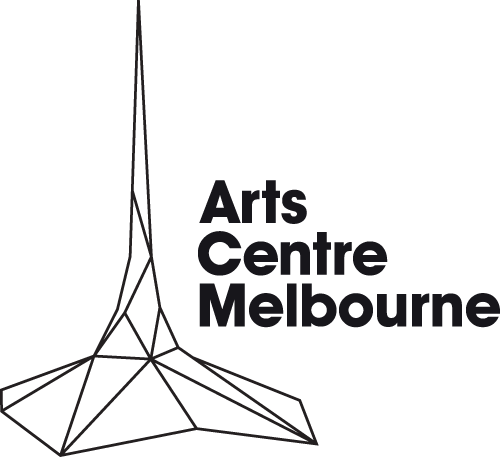 Women, Art and Politics is supported by Arts Centre Melbourne through Creative Victoria for Asia TOPA. Asia TOPA is a joint initiative of the Sidney Myer Fund and Arts Centre Melbourne, and is supported by the Australian and Victorian Governments.